Dr. Osafo grew up in Cape Coast, Ghana. In 2006, he relocated to Ruston and began his practice at Green Clinic. 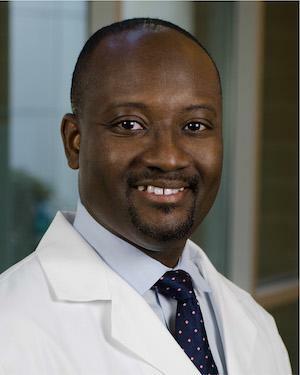 As a physician who specializes in both Oncology and Hematology, Dr. Osafo diagnoses and treats diseases of the blood, as well as monitors and treats patients undergoing cancer treatment. The doors to Dr. Osafo’s office are always open and his staff strives to provide compassionate care in a timely manner. He feels that Green Clinic is unique in its abilities to provide that type of care, as we offer instant access to multiple medical and surgical specialties under the same roof.